– Dental implants are expensive. – Dental implants run the risk of being rejected by the body as a foreign object. – The implant may fail to fuse together properly with the jawbone. – An infection of the gum and/or the bone around the implant. In many cases the implant must be removed. – An inexperienced dentist can cause damage to the tissue surrounding the implant, specifically the nerves around the area. Dr. Jeremy Mao, the Edward V. Zegarelli Professor of Dental Medicine at Columbia University Medical Center, spearheaded the research leading to the discovery of this awesome new grow-your-own-tooth technology. When the New Procedure Will be Available? It is not clear how soon the technology will be available but I am going to follow it as this technology can be a game changer in dentistry. 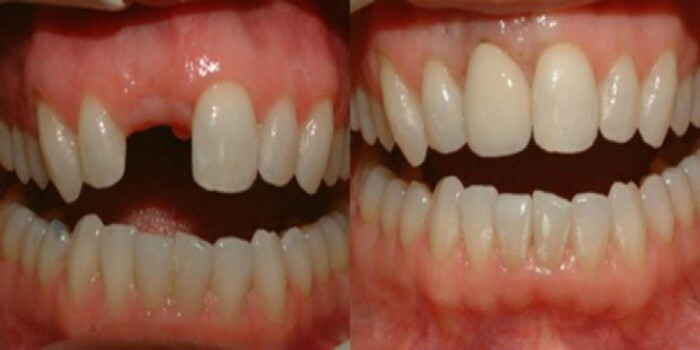 Another technological breakthrough that supposed to be available next year is healing small cavities without drilling! A Japanese team has developed a groundbreaking cavity-filling method using a paste which is molecularly similar to tooth enamel. The paste bonds with the tooth without the need for drilling, saving the tooth’s owner time and pain. However exciting these new technologies are, they are not substitute for good oral hygiene. Brushing daily using a good toothpaste and regular flossing is the best way to keep your mouth free from dental problems.